I managed to create the following model in two hours, and Enooooormous amounts of imagination. made this after 3 hours of work. 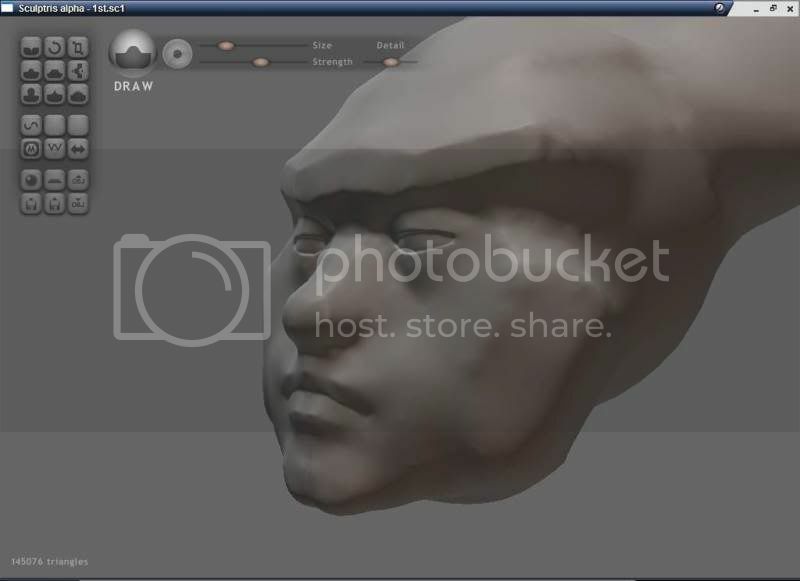 sculptris is really user friendly! i manage to model all of them in a hour tops! this is amazing.. and i have no experience. 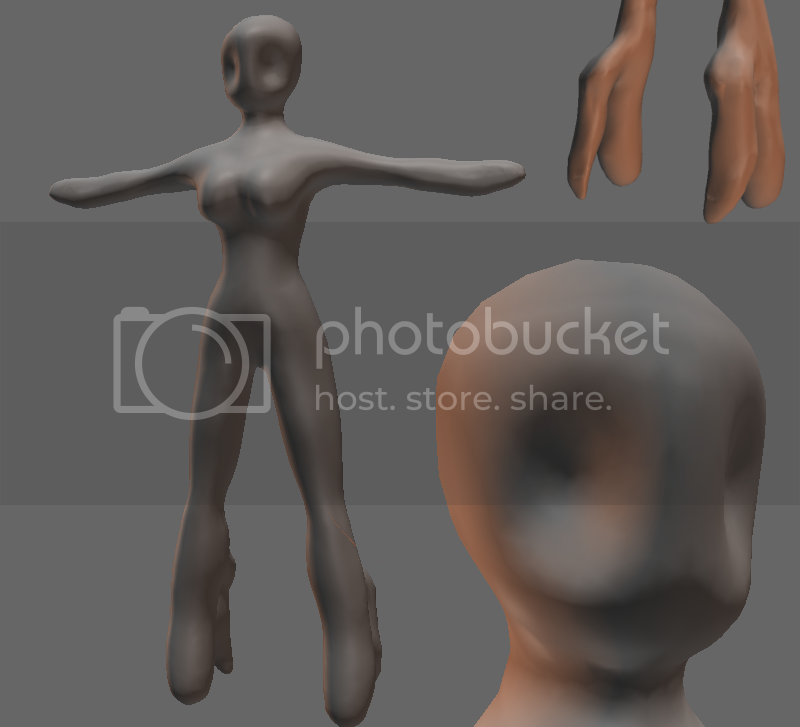 Sculptris is very intuitive program for graphic artist, sometimes only slow down when I have many poligons. I working in Windows 7, maybe this is problem. Excellent! I have it working in Ubuntu 9.10 using wine with no problems so far. Another try with Sculptris, with this much polys it's getting slow. I have winxp32bit, 4gb ram, Core Duo 2,5 mhz, Nvidia Quadro FX 370 256mb. 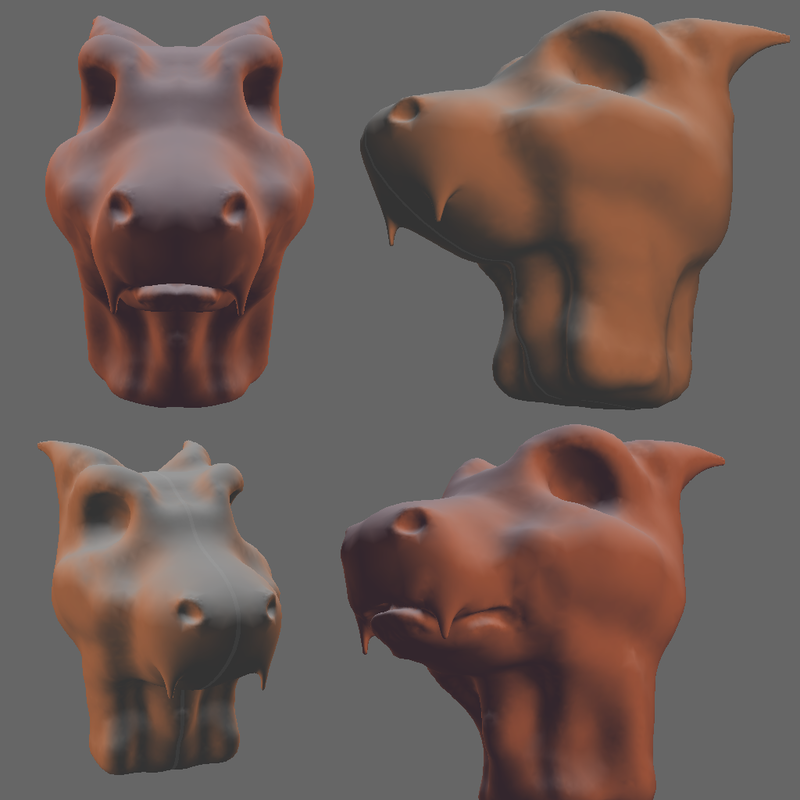 I'm not really an artist, more playing around with Sculptris. I just did a quick model and animated it with CrazyTalk - all done in 20 minutes. Loving it, very intuitive and keeps it to the absolute minimum required, which makes it easier to use than apps that do everything. Loving the program so far! This is the only thing I've been happy enough with to share with anyone. I used the inverse flattener, which created the ears, and I kind of just took it from there.